Rio Seco was too small to afford a professional manager for its one-room Chamber of Commerce. And Rio Seco, meaning "dry river" in Spanish, symbolizes the biggest enemy of the ranchers and farmers in 1950s Texas, an enemy they can't control: drought. To cranky Charlie Flagg, an honest, decent rancher, the drought of the early 1950s is a battle that he must fight on his own grounds. Refusing the questionable "assistance" of federal aid programs and their bureaucratic regulations, Charlie and his family struggle to make the ranch survive until the time it rains again—if it ever rains again. Charlie Flagg, among the strongest of Elmer Kelton's memorable creations, is no pasteboard hero. He is courageous and self-sufficient but as real as his harsh and unforgiving West Texas home country. His battle with an unfathomable foe is the stuff of epics and legends. Elmer Kelton (1926-2009) was the award-winning author of more than forty novels, including Other Men's Horses, Texas Standoff and Hard Trail to Follow. He grew up on a ranch near Crane, Texas, and earned a journalism degree from the University of Texas. His first novel, Hot Iron, was published in 1956. Among his awards have been seven Spurs from Western Writers of America and four Western Heritage awards from the National Cowboy Hall of Fame. His novel The Good Old Boys was made into a television film starring Tommy Lee Jones. 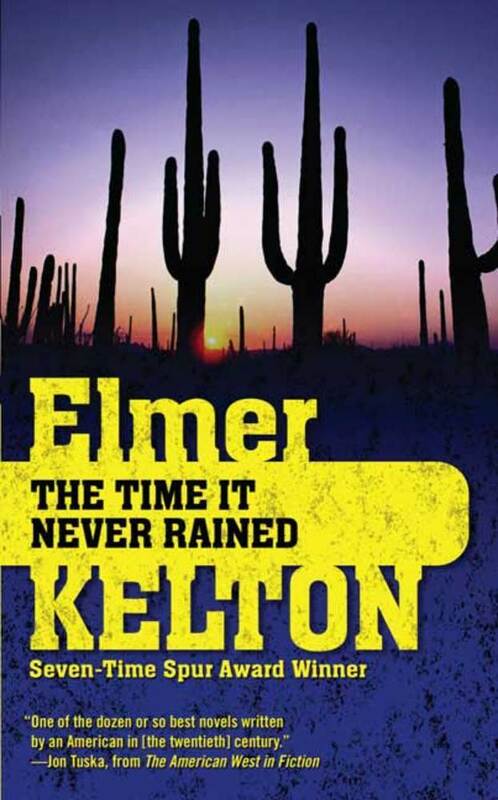 In addition to his novels, Kelton worked as an agricultural journalist for 42 years, and served in the infantry in World War II. He died in 2009.